Today the Movistar Yamaha MotoGP Team completed the second of the three test days at the Losail International Circuit in Qatar. Riders Maverick Viñales and Valentino Rossi continued to prepare for the 2018 racing season and ended the day in 7th and 11th place respectively. 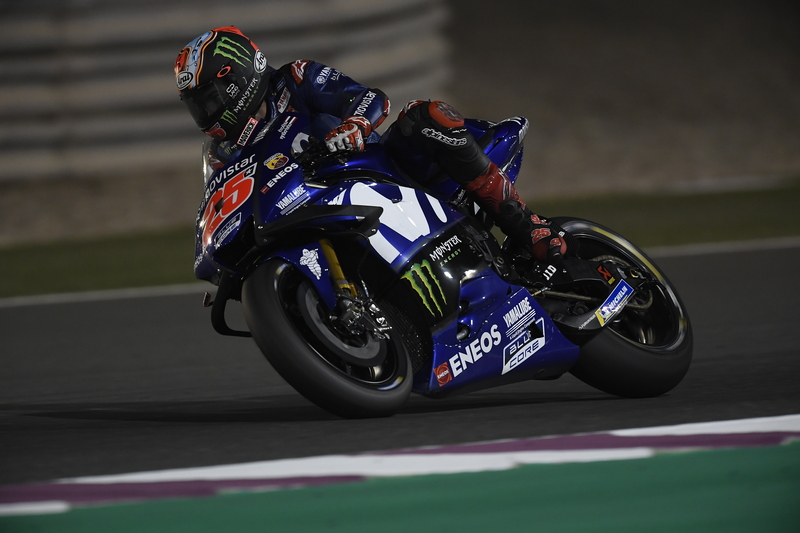 Viñales mentioned he was going to put in hard work throughout the Qatar MotoGP Official Test and he kept his word, completing 52 laps in total on Day 2. The Spaniard used today’s session to make some improvements to the settings of his YZR-M1 to gain further corner stability and better the overall lap time. Though he suffered from a lack of grip, he wrapped up the second day with a best lap of 1’55.051s, set on lap 51, for seventh position, 0.465s from first. Rossi also experienced some tyre issues but, similar to his teammate, still made steps throughout the day as he focused on bettering his bike’s set-up compared to yesterday. Though an issue with the front tyre spoiled the Doctor’s time attack, he still managed to improve on his time from yesterday, thanks to the progress he made in today’s session testing small details of the set-up. He ended the day in 11th place with a fastest lap of 1’55.316s, set on lap 30 of 45 laps, 0.730s from the front. As most riders improved on their times from yesterday, Viñales and Rossi also hold 7th and 11th position in the combined standings.